My last review of an acid jazz album was more than a decade ago. 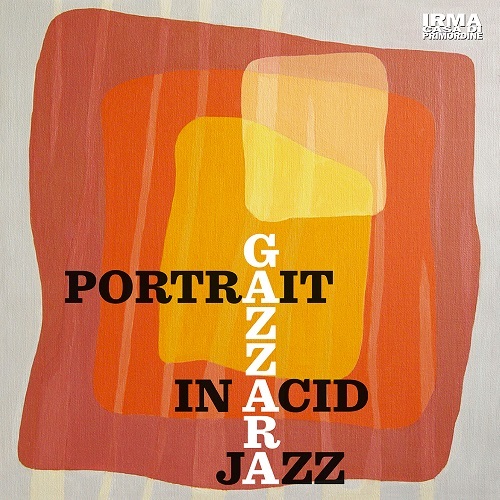 Gazzara‘s new album Portrait In Acid Jazz (2018) is a welcome gift to return to this genre. Its heyday was in the late eighties and early nineties. But at no time did the flame of this style go out. The Italian band Gazzara bears the name of its founder keyboardist and composer Francesco Gazzara, who together with Massimo Sanna (bass) and Mauro “Mirtao” Mirti (percussion) really got jazz going. The group started with the aptly titled album One (1996), followed by Grand Central Boogie (1998), and The Spirit Of Summer (2002). Francesco Gazzara also released as solo artist Hammond Express, The Piano Room, Brother And Sister (2006), My Cup Of Tea (2009), The Bossa Lounge Experience (2013) and Gazzara Plays Genesis (2014). With We Had a Ball return the memories to the good old time, when music had that special swing and lightheartedness. Mix a little Brian Auger and The Trinity with Ronny Jordan or Zachary Breaux and you get some taste of this kind of vibe and jazz. The gospel-soul influenced song Heaven sends us the revelation of dream singer Lily Latuheru. This vocalist with Moluccan heritage is someone definitely worth to discover.